Looking for a place to hold a meeting, celebrate a party, a wedding or any special celebration? Quality Inn & Suites Montebello provides you everything that you need in one special place! Banquets and Meeting spaces, delicious dishes, appetizers and desserts, great service and even an event planner to make sure your event is special and wonderful at all times. We also offer free parking, complementary WiFi and great room rates for all hotel guests who wish to stay with us for longer. 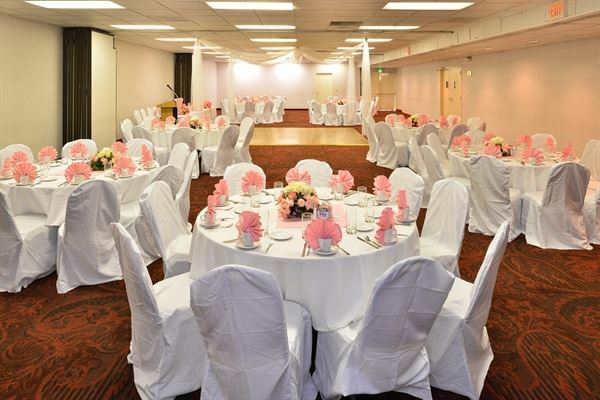 We want your event to be a special and memorable day and The Quality Inn & Suites Montebello is the perfect place. Our friendly and personal service team is ready to help make your event unforgettable! Call or email for more information and to reserve your spot today!